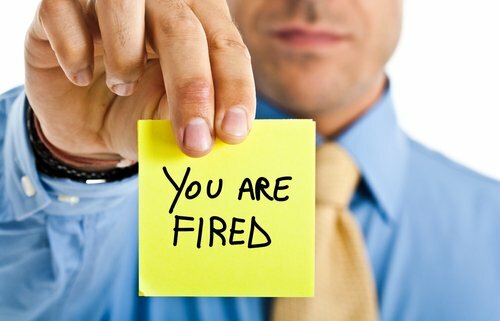 In our last couple of articles, we discussed hiring GOOD and firing BAD employee. This week we’re going to discuss the UGLY (and no we’re not talking about that one employee who can use an overall makeover). But the UGLY TRUTH is that some of YOUR employees may NOT BE HAPPY! I know, I know…it can’t possibly be true, after all you’re an awesome guy and boss. But the reality of the truth is that 70% of current and 75% of fired employees in the US are disgruntled! And that’s a really bad thing. Besides setting a bad tone and spreading internal negativity in the office, a disgruntled employee can be a liability and risk to a company in the forms of lawsuits, bad press and possible theft of company materials, clients or research. In other words, you want to avoid them like the plague. But with the percentages listed above that may not be entirely possible. Which means, like or not, in the course of your business’ life, you most probably will have to deal with a disgruntled employee or former employee. So what’s the trick to that? No worries, we’ve got you covered. 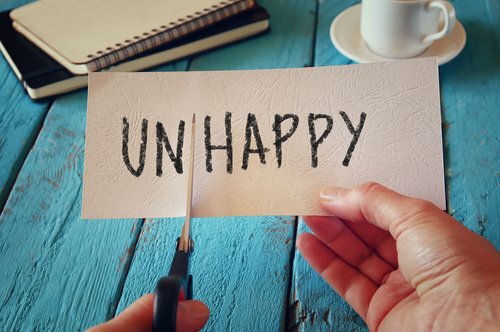 Find out why they are unhappy. Is it their personality or something at work legitimately making them dissatisfied and grumpy? If it’s their personality, you may be out of luck. The only thing you have to consider is if they bring something valuable to the table. If that’s the case, then you have to weigh the cost of company morale and dealing with a grump, against that value. If they have a legitimate reason for being upset, you’re in luck, because then you can fix the situation, not only improving the work environment for that individual, but for all your employees. Plus, showing that you care enough to find, resolve and correct the issue is a great way to create gruntled (why is that not a word? ), happy employees. Don’t lose your cool. It’s like parenting….no matter how frustrating your two year old is being, you know you’re the adult and therefore you have to remain calm (despite the haircut they just gave themselves or the glitter they just decorated your important report with). Same too, no matter how frustrating your employee is being, you have to remain professional. I know it’s hard, but it is important for both handling this employee and creating a positive work environment. And to prevent an employee related lawsuit or claim such as discrimination, wrongful termination etc. Model good behavior. Another great tidbit from parenting, the “do as I say, not as I do” method is proven NOT to work. As the boss, you SET THE TONE of the office. How you deal with frustrating situations, treat your employees and your general mood, will affect how your employees do the same. Happy Boss = Happy Office (I know it doesn’t rhyme, but it stands just as true as Happy Wife = Happy Life). Build a company culture that prevents the Disgruntled. Sounds easy enough….just don’t hire disgruntled employees to begin with. Okay, as we all know, it’s easier said than done (even if you listen to my advice in my previous articles), but as discussed in my article on building the right company culture, creating an environment that is positive and stresses the values and mission of the company will prevent hiring these people in the first place. Having a strong value compass, will help weed out those employees that don’t fit into the culture or can help prevent an employee from becoming disgruntled in the first place. Ask for Help. If you’re partnered with a PEO, they have the tools and personnel to help you deal with a problem employee. In addition, they can help identify potentially problem employees and can help you protect yourself against the more dire consequences of a disgruntled employee, such as a lawsuit. There’s no shame in asking for help here! When it comes to protecting your company, it’s really the smartest thing to do. That said and done, DON’T BE AFRAID TO FIRE A DISGRUNTLED EMPLOYEE who cannot be helped. At the end of the day, this is your company and you need to make sure each and every employee fits your needs and culture. Which brings us to the other type of disgruntled employee….the one who is getting the ax soon or already has. And while the first type of disgruntled employee (the one still working for you) is a pain to deal with, this type of disgruntled employee can be a lot more of a nuisance and plain old scary for your company. A disgruntled former employee can pose a big risk to your company in form of bad mouthing your company to potential clients and/or job applicants. Having disgruntled former employees is standard in the business world, meaning, at some point of your career, you’re going to have to deal with someone who is mad at or dislikes you. I know, I know….we all just want to be loved, but the reality of the situation is not everyone is going to love us, and that holds doubly true for someone you’ve let go from your company. Listening to some of the advice on how to fire someone, will hopefully eliminate some of the disgruntled employees. But for those employees for whom just smoothing over the firing process is not an option, the following tips can help defuse a potentially explosive situation. Don’t give them anything to complain about. Okay, I know this sounds obvious, and in any case, isn’t the very definition of disgruntled, someone who has a lot to complain about? While this is true, if you do everything correctly, they’ll be hard pressed to find reasons to complain (I mean, the complaint gets kind of weak when there’s nothing to be said). Be generous where you can be; make small concessions when handling their requests; make sure they are paid their final paycheck before they step out of your door, and treat them with respect, dignity, calm and cool. It may even be worthwhile to reach out through a third party to see if you can resolve any outstanding complaints. But if they’re not open to this, let it go. Take away their power. Don’t let one disgruntled employee disrupt your entire company. Don’t allow their antics to consume a disproportionate time and energy. Assign one person to handle the matter and let everyone else resume work. This also sends a strong message to the disgruntled employee that life (or work, in this matter) goes on without them. Similarly, when confronted by a disgruntled employee, get a room, i.e., keep it private. Don’t allow for a showdown to happen in front of your other employees, customers or other bystanders. You may also want to look into offering employees a severance agreement that offers the employee something they want in return for a non-disclosure agreement that includes what can and can’t be said about you, your team and your company. Change the narrative. The biggest problem (barring the real extreme cases) you will probably face with a disgruntled employee is having someone bad-mouth you. While unfortunately this can’t be changed, it doesn’t have to be the only story out there. However, don’t try to correct the problem by engaging with the disgruntlee (again, why is this not a word?). Instead, make sure you share positive aspects of your company’s purpose, mission, goals and accomplishments. In other words, remind people that there is a bigger picture than just this one employee. Don’t rehash details of the employee’s faults and firing, but do respond to rumors immediately. Without getting into a full out war, address any rumors by giving accurate facts that counter them, without having to repeat the rumor. Get Help. If you’re noticing a theme here, you’re not imagining it. Getting help when needed is essential to ensure that you and your company are protected. Dealing with a disgruntled employee can be draining. Seek out professionals that can help you with this matter. As always, I suggest asking your PEO if they can help you with the situation or help find the professionals who can and like I mentioned before, a PEO can even help prevent situations from escalating by putting into place preventive measures that protect your company, identifying disgruntled employees before they become a threat and helping you offer better benefits to your employees to minimize their dsgrutleness (I think the dictionary needs to add some of these words) and maximize their overall job satisfaction. Most importantly, if you think a situation is getting too volatile and can potentially be dangerous, get the authorities involved. DON’T LET A SITUATION BECOME DANGEROUS BEFORE ACTING! In the case of any disgruntled employee, it is important to be PROACTIVE rather than REACTIVE. When it’s all said and done, preventing and dealing with disgruntled employees simply falls back upon what most human interactions depend on, being respectful, listening (but I mean really listening) to what they have to say, staying calm and being the bigger man. Easy enough, no? For more information on how to create a work environment that discourages disgruntled employees and/or how to maintain HR practices that protect both you and your employees, contact ARC Consultants and see if a PEO is the right fit for you. Is Trump’s ban on immigrants a ban on business too? Whether you agree with President Trump’s policies or not, everyone can agree that the new President has definitely started his first term in office with plenty of sound and fury. Whether it signifies nothing or not is yet to be seen. However, many business owners are wondering how his ideology and campaign agenda will affect business. Are they looking at massive changes in regulations, hiring practices, insurance laws or is it just going to be business as usual? Trump claims to be a friend of business; his recently signed executive order pledging to repeal two existing regulations for every new one, a promise to reduce business tax rates to 15%, his appointment of Linda McMahon to the SBA, Scott Pruitt to head the EPA and nominating Neil Gorsuch to the Supreme Court all seem to indicate he is moving in that direction. NFIB CEO and President commended Trump on his address to Congress (2.28.17), stating “President Trump delivered a very strong economic message that hit the right notes,” regarding tax reform, repealing the affordable care act and reducing business regulations. Stricter enforcement of the E-Verify system that is meant to screen these workers. As such, many businesses are wondering how Trump’s immigration plans will affect their staffing strategies, business travel and expansion plans. Trump is suggesting that this crackdown and his “America first” agenda is meant to create new jobs, but many are skeptical if that will truly be the case. While we tend to think of immigrants taking low paying jobs and therefore having little effect on business, according to a recent survey conducted by Envoy, an immigration service provider, 63% of U.S. employers describe foreign workers as being extremely important to their company’s recruiting and hiring strategies. Many would be surprised to know that a majority of new patents in the U.S. are registered by non-U.S. citizens. Additionally, immigrants have been responsible for some of the most successful U.S. startup companies, which in turn, has created many jobs for U.S. citizens. Foreigners have always been a crucial source of talent across all industries, and if qualified options are not available in the U.S. talent pool, companies may be looking to move or expand their offices outside of the U.S. or outsource some of their tasks to foreign companies. In addition, companies will be hesitant to send current employees to overseas conferences, short term assignments or client meetings, further limiting a company’s growth potential. This leaves many businesses wondering, what’s a company to do in the face of Trump’s obvious commitment to his hard stance on immigration? While the uncertainty at this time makes it difficult to come up with a concrete plan, there are several things a business owner can do right now to ensure that if the immigration hammer does fall, he is not left crushed by it. Make sure you are up to date on immigration policy, including not just hiring policy, but firing policy, as well, which can have additional ramifications to the firing of an U.S. Citizen. Know the legal status of all your foreign employees, including being on the lookout for discrepancies in any employee’s information. Employers have an obligation to verify the identity and visa status through the I-9 process. While this process is old news, the increased enforcement, with risk of imprisonment for not complying is relatively new and can have dire consequences for a business owner. Businesses should be aware that as of this January, a new I-9 form has been introduced, which will most likely mean more government scrutinization, inter-agency cross referencing and stricter enforcement. Many recruiting firms suggest using these immigration policy changes as an opportunity to train and create better workers from your current talent pool. Seems a bit overwhelming, no? This is of course where a PEO comes into play. (You had to know a PEO was going to come up at some point.) Partnering with a PEO to provide your HR solutions can help you with all of the above items. 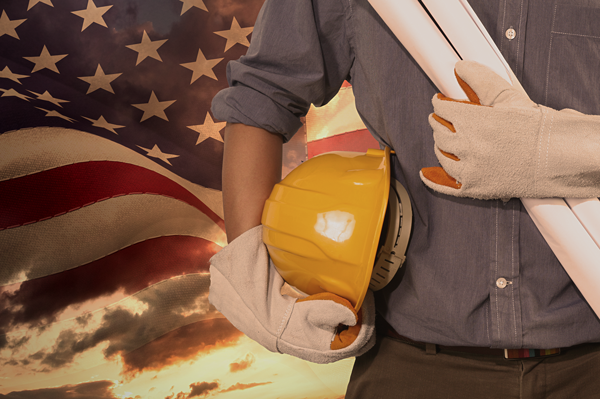 Through providing assistance with recruiting and hiring, a PEO can help you strategize to hire qualified employees from the U.S., along with generous employee benefit packages that PEOs can provide can also help attract and retain these employees. A PEO firm stays on top of immigration law, so you don’t have to, ensuring that you’re always compliant. It is always a good idea to reach out to your PEO to review your current immigration and policy procedure to ensure compliance and to review any new and/or applicable laws that may pertain to your specific workforce. Finally, through offering employee training programs, a PEO can help you build up a better workforce internally, which may be the direction business owners are going to need to begin considering. So while Trump definitely does seem to be a great friend to business, we can only hope that he keeps in mind how his need to “build a wall” can and will affect U.S. businesses.